area for more than 20 years. 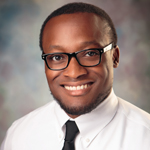 Ejiro Isiorho, DPM's experience in podiatry is coupled with genuine concern for his patients in the Portland and Tigard, Oregon area. The staff is dedicated to your comfort and prompt attention as well. Our goal is to help you maintain healthy feet. Below is a list of conditions we address daily.